Rammstein has released a teaser trailer for “In Amerika”, the upcoming documentary about the band’s presence in USA. So far there is no additional information about the release. Update (01/08/2015): According to the British Board of Film Classification official website, the documentary will be titled “Rammstein in Amerika” and should be released on September 18th. Since this information was not yet officially announced, it is still subject to change. Many thanks to RammsteinWorld for this finding! Update (08/08/2015): This product was briefly available on RammsteinShop’s catalog. It will apparently include a disc with the concert from Madison Square Garden (New York) from 2010. 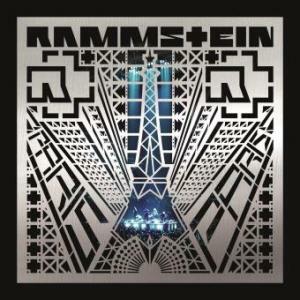 Update (14/08/2015): Rammstein in Amerika is available for pre-order again at the RammsteinShop, with a release date set to September 25th. Finally we’ll see a DVD of the MSG performance! I saw them once in Quebec in 2010 (front row of the mosh pit 🙂 ) and twice in my home state of WA in 2011 and 2012. Amazing concerts! Omg….my dream is to see Rammstein…before I die….but I live in the US….will they ever tour here again?